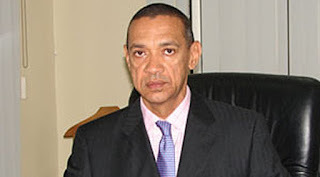 The senator representing Bayelsa East Senatorial District, Ben Murray-Bruce, was ruffled by presidential security detail during a dinner with the president Monday night because he breached “elementary protocol”, his colleagues present at the event said. An infuriated Mr. Murray-Bruce had shortly after the feast taken to his Twitter page to protest the way he was treated, suggesting that the action was meted out to him because of his criticism of Mr. Buhari’s policies. “I was at the Presidential Villa today. Went to the President’s table. DSS wouldn’t allow me greet him but let another Senator greet him!” Mr. Bruce tweeted. Mr. Bruce’s tweets immediately went viral, with many of his supporters saying their fears that Mr. Buhari was intolerant of dissent had been bolstered by the development. But in separate reactions to the news on Tuesday, Mr. Murray-Bruce’s colleagues in the senate said they were “disappointed”. Sola Adeyeye, the senator representing Osun Central Senatorial District, said he had a vivid recollection of what transpired at the dinner because he was seated at the front row. Mr. Adeyeye offered more explanation about the events. “It was Sen Dino Melaye who first went to greet those seated at the President’s table, including President Buhari. He was well greeted. No one in the senate has criticized President Buhari more than Sen Melaye. “But as others rose to do what Dino had done, the scene got clumsy and indecorous because people were approaching the President’s table from different directions. I sat between Sen Olujimi and Sen Bwacha. The three of us felt embarrassed by what was clearly a breach of dinner protocol. At that level, if dinner was served or being served, good etiquette demanded that the President’s table should not be approached. “One should wait until people had finished eating. No senator in the USA would breach such elementary protocol. We (on my table) predicted in whispers that colleagues would soon be barred from approaching the President’s table and it happened. “The first person to be turned back was Sen Gemade who was visibly embarrassed. He belongs to the APC; he is not a known critic of the President. “When I noticed that most people had finished their food, I approached the table and offered my pleasantries. Others followed suit. No one was turned back,” Mr. Adeyeye said. The senator representing Kaduna Central Senator District, Shehu Sani, who was also present at the dinner, similarly rebuked Mr. Murray-Bruce for his outburst. “We met with Mr. President at the Villa yesternight. He was frank and blunt with us and we were honest with him. He addressed us, and those nominated to speak responded, raised issues and asked questions of which he answered. I actually wanted to speak but I was not so lucky,” Mr. Sani said. Mr. Sani further explained that he was taken aback by Mr. Murray-Bruce’s claim. “I was surprised to learn that one of us later disclosed that he was prevented by security agents from coming close to Mr. President. I personally experienced no such. And I don’t think Mr. President can bar any legislator from coming close to him for holding different opinion on national issues. I always have an independent mind and will always speak my mind when there is the need to do so. “For decades, Mr President knows me for that and still respects me for that. It’s not everything the security agents do that Mr. President will know. It was later gathered that Mr. Sani was the senator who met with Mr. President before Mr. Murray-Bruce was declined access.